The crisis has deepened as the lenders are still unsure about giving out the emergency funds. 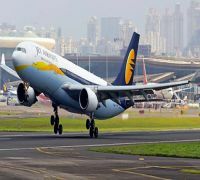 Jet Airways, India’s oldest private airline, is likely to ground all flights in case the SBI-led consortium fails to lend emergency funds of Rs 400-crore. According to multiple media reports, the embattled airline, which is presently flying just five planes, may take the shutdown call by the end of the day. The crisis has deepened as the lenders are still unsure about giving out the emergency funds. The future of the airline hangs in balance as it functions on skeletal staff and services. Prior to this, the National Aviator’s Guild, the union of over 1,000 Jet pilots had called off the strike over payment of delayed salaries. On Tuesday, while the meeting of the ailing airline's board in Mumbai that went on for over three hours remained inconclusive, officials at the lenders and the government maintained that efforts are on to revive the carrier. However, the carrier's pilots union NAG Tuesday threatened to seek resolution under insolvency law as salaries dues remained unpaid. As SBI Capital Markets vets the initial bids received for stake purchase in the struggling Jet Airways, the airline's founder and former chairman Naresh Goyal opted out from bidding, sources said. In the morning, Civil Aviation Minister Suresh Prabhu called for a review of issues related to Jet Airways, including rise in airfares. 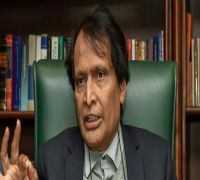 The civil aviation ministry, in a late evening tweet, said that as instructed by the minister, a review meeting was held under the chairmanship of the secretary. An airline source said the number of pilots have reduced to around 1,300 after about 400 pilots left in the wake of the crisis. "Tuesday alone 23 pilots left the airline," the source claimed, adding that over 100-odd pilots have joined budget carrier IndiGo. A government official said that approaching the NCLT for Jet Airways is not an option at this stage. On the same day of frantic negotiations, Jet Airways founder Naresh Goyal decided not to bid for acquiring stake in the cash-strapped airline, PTI quoted sources as saying. Goyal, who had stepped down as chairman of the carrier last month, has withdrawn the bid for the airline. On April 12, sources said that Goyal had also put in bid for the carrier.